The Davis housing market saw little change in the third quarter of 2016 compared to the same quarter a year ago. One hundred and fifty-seven (157) homes (detached, half-plex, and condos) sold in the third quarter which is a 7% decrease from the same quarter a year ago. Average home value for the quarter was $585,533 which is unchanged from the same quarter a year ago. Average square foot price increased four percent to $350 in the third quarter from $338 in the third quarter. Homes were on the market an average of 34 days which is a 22 percent increase from the third quarter of 2015. 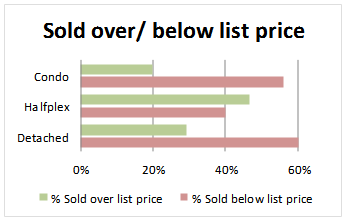 Fifty-eight percent of homes sold below list price compared to 29% that sold over list price. North Davis had the most sales with 48 followed by East, West, South and Central Davis. 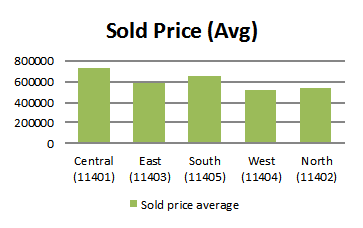 Central Davis had the highest average sale price of $726,000 followed by South, East, North, and West Davis. Homes sold the quickest in East Davis followed by Central, West, South, and North Davis. Homes in East Davis on average sold at a 0.2% premium, while all other areas of Davis sold on average at a 0.2-3% discount. More than 70% of sales in Central and North Davis were below list price compared to less than 25% of sales over list price. East Davis was the hottest area for home sales when considering the high sale to list price ratio and how quickly homes sold in the area. 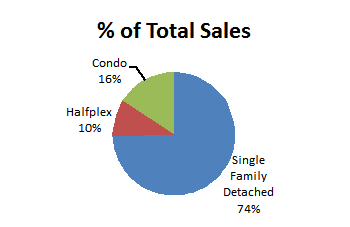 Approximately three-quarters of home sales or 74% were detached home, 16% were condos and less than 10% were half-plexes. The average sale price for detached homes was $665,000. 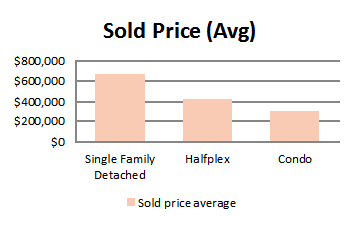 Half-plexes sold for on average $423,000 and Condos on average sold for $300,000. 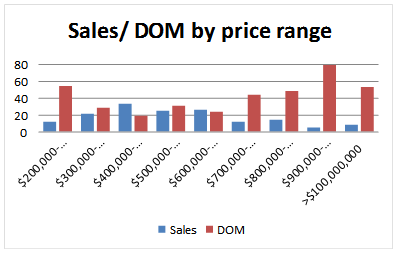 Condos on average sold in 41 days compared to detached and half-plexes which sold in 33 days. The average home sold in Davis in the third quarter had 3 bedrooms, 2 bathrooms, 1,894 square feet of living space, was 33 years of age and was situated on a 7,600 square foot lot. Sales in Davis ranged from $213,000 for a condo in North Davis to $1.72 million for a single family detached home in Central Davis. Over two-thirds of sales were between $300,000 and $700,000. The hottest price range was $400,000 and $499,999. 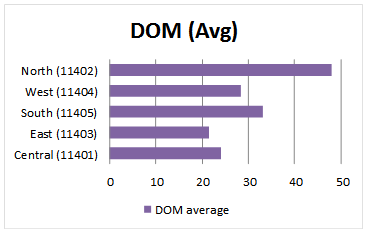 There were 33 sales and the average days on market was less than three weeks. Homes priced between $900,000 and $999,999 sat on the market for over three months. A majority of home buyers took out a mortgage to purchase their home in the third quarter. 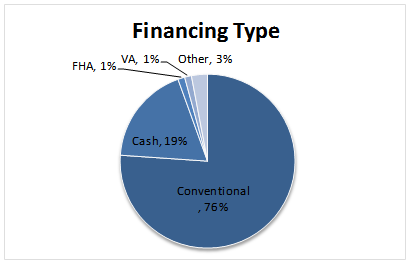 Approximately three quarter, or 78%, of the homes purchased were made with conventional financing. Cash sales made up only 19% of sales. FHA and VA made up 2% of sales.